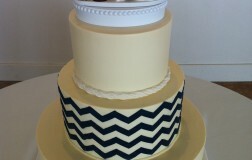 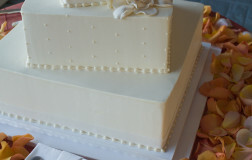 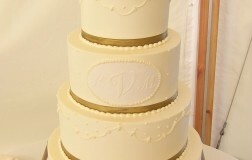 Four tier wedding cake finished in vanilla butter cream frosting. 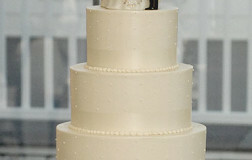 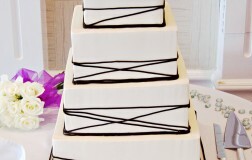 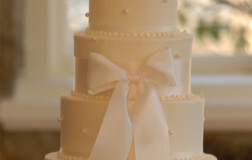 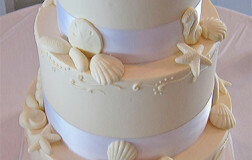 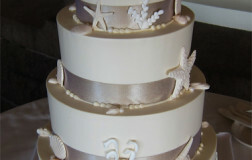 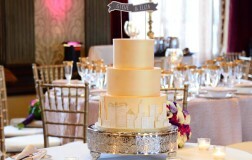 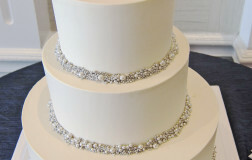 Can't deny that the cake topper used on this cake was the focal point of this cake. 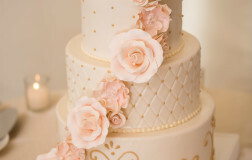 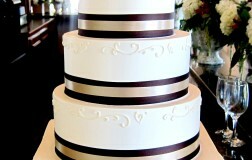 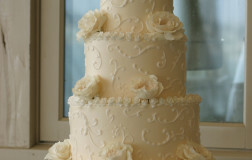 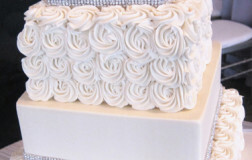 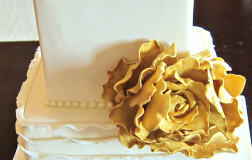 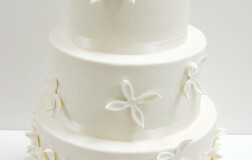 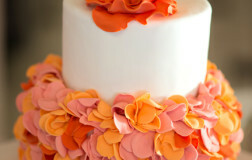 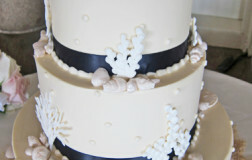 The flower pattern on this cake is so interesting...adding a lot of texture to the design. 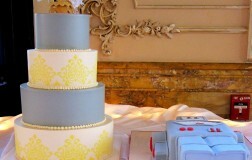 Such a trendy cake set up at Castle Hill Inn. 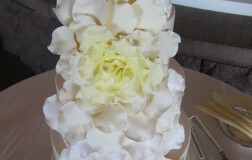 Loving the flower. 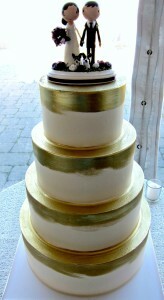 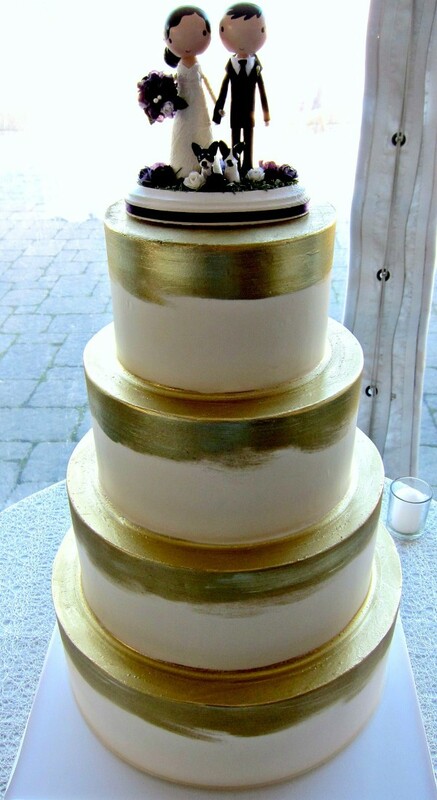 The gold color; really makes this cake.